Electronics company Sonos has teamed up with music group Gorillaz to stage an immersive 'Spirit House' experience that will visit New York, Berlin and Amsterdam. Fans of Gorillaz will be able to visit the pop-ups and immerse themselves in exclusive music and visuals via physical installations and projection mapping technology. The experience will be travelling across New York, Berlin and Amsterdan throughout April and May. 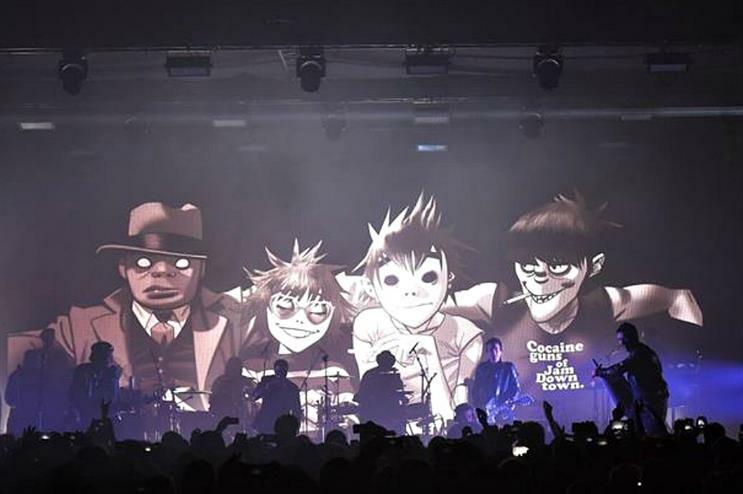 Designed to promote Sonos' new Playbase speaker and the band's new album Humanz, the event will allow guests to experience the home of virtual band members Murdoc, 2D, Russel and Noodle. The pop-up promises to take visitors on a journey through music, high-tech sound and "unearthly" visuals. The experience will visit New York from 21-23 April, Berlin from 28-30 April and will arrive in Amerstam on 6 May. Earlier this month, Gorillaz announced a collaboration with T-Mobile's Electronic Beats platform, allowing fans access to augmented reality experiences. In March, Sonos devised a window installation at Selfridges to bring to life its partnership with music platform Spotify. For your daily hit of news from the brand experience community, weekly brand and inspiration updates or your monthly trend download, register and subscribe to Event and our bulletins.